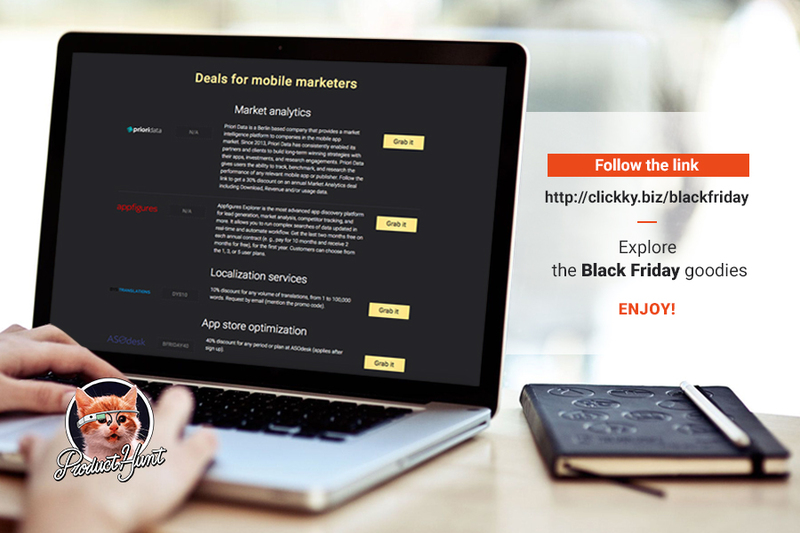 NEW YORK, November 27, 2017	(Newswire.com) - Clickky, a full-stack platform for mobile advertisers and publishers, released the Ultimate Bundle of Black Friday deals on services for mobile marketers, app developers and website owners on Nov. 24. The collection of offers was featured on the first page of product discovery platform Product Hunt, becoming the #5 product of the day. More than 50 companies have shared their one-time offers and special deals for the Bundle, contributing to the most comprehensive list of discounts in the industry. The Bundle attracted the attention of the Product Hunt community, reaching 281 upvotes over the weekend. 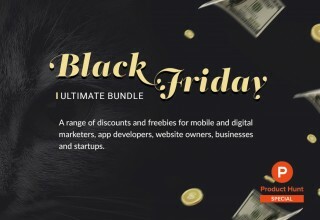 The Ultimate Black Friday Bundle is a collection of offers from essential tools for app developers, mobile and digital marketers, and website owners. The Bundle allows getting reduced pricing on a variety of tools, with discounts reaching 75 percent on some of the services. This collection contains discounts on app analytics, testing, localization, app store optimization, promotion and monetization services. There are also offers for digital marketers and website owners (CRM, social media management, SEO-tools, e-commerce solutions). Additionally, the Bundle includes discounts and offers from the top events in the mobile industry: AdTech, ATS London, Israel Mobile Summit, Mobile Beach Conference and many others. The response of the Product Hunt community shows that the Bundle has been highly anticipated by both established businesses and startups. 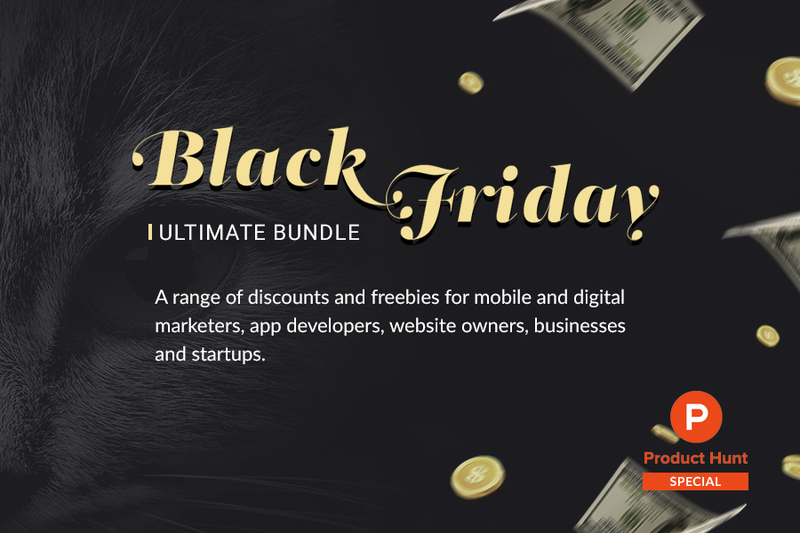 Learn more about the Ultimate Black Friday Bundle on Product Hunt by following this link. Clickky is a full-stack platform for advertisers and publishers, offering programmatic, performance and video solutions, while currently focusing on the development of its own SSP and RTB Marketplace. Clickky provides products for monetization and user acquisition, including an API solution AdExchange, which the company has operated since 2015, and remnant traffic monetization tool Smartlink. In 2016, Clickky introduced a programmatic monetization platform for publishers and a self-serve platform for mobile advertisers. The company also offers a mobile video solution, which provides global access to the leading video demand partners. Clickky operates six offices in five countries: the USA, China, India, Ukraine and Russia.